Story of Hope is an immersive experience created by World Vision to tell an engaging story of 12-year-old Isata and her family in rural Sierra Leone. The interactive experience gives shoppers a glimpse into the home of Isata and her family before and after the support of World Vision. Rural Sierra Leone is also bought to life through interactive experiences which gives a deeper understanding of real life for many poverty-stricken communities around the world. A water station gives the opportunity to pump water at the fully working water pump. 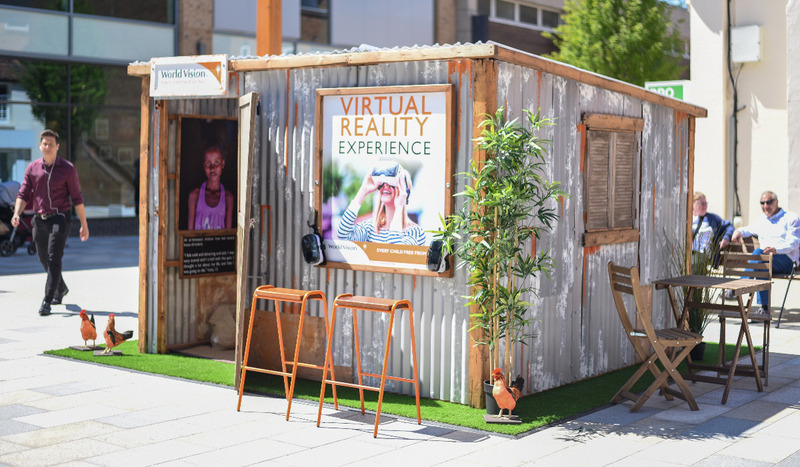 In addition, visitors can visualise the daily hardship of the children through a virtual reality experience. More than 60 years, World Vision has been bringing real hope to millions of children in the world’s hardest places as a sign of God’s unconditional love. Through sponsoring a child like Isata, you will help that child to grow healthy, educated, and protected. Visit Story of Hope today and see how you can change the lives of children around the world.